As some of you may know, I was surprised this year with the greatest advent calendar of all time. On the 1st of December I came home from work, greeted by an excited FFID who was delighted to show me a homemade craft beer advent calendar, filled with 24 seasonal brews, each wrapped in Christmas paper. - O’Hara’s: Winter Star Rye Ale – Christmas in a glass, although I think I preferred last year's recipe without the rye. - To øl: Frostbite – Great beer, clean refreshing ale with plenty of citrus and pine flavour backed up with tasty malt background. - Jack Cody's: Curly Hole Samhain Ale - A whopper brown ale with flavours of dark fruit. Thoroughly enjoyed a pint of this in by the fireplace in the Beerhouse. The problem with the winter months is that it’s virtually impossible to get a decent picture of any of these beers for the blog. My employers frown upon mid afternoon beer drinking so I can never get a shot with sunlight. Luckily FFID and I are now in France and I managed to stash away some of my craft calendar in the suitcase. This gave us a fantastic excuse to try two of the latest Christmas ales I’ve received; Yule Ól by White Gypsy & ‘Our Special Ale’ by Anchor Brewing. 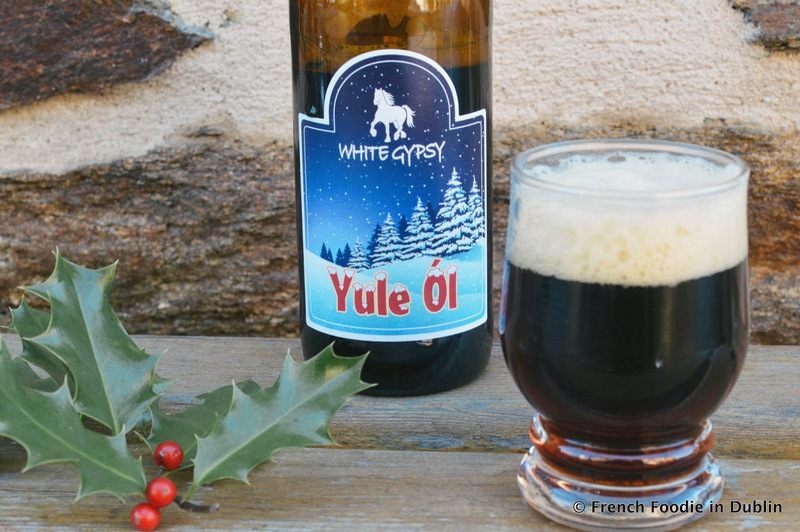 First up we opened the Yule Ól by Tipperary based White Gypsy. This ale pours a very dark ruby red colour with an off white, long lasting head. It smells of toffee and orange peel with a fairly bitter taste, easing off quickly to give mildly spicy seasonal flavours. This would be a perfect beer to share with good company, sitting beside an open fire. In the words of Papa FFID “Pas Mauvais” (not bad). We then moved on to the seasonal special from American craft institution “Anchor Brewing”, creators of the modern IPA. I just unwrapped this beer this morning but it wasn't our first time tasting it. Last week I was in Baggot Street wines getting a few beers for a dinner party we were hosting in FFID HQ. While there I saw a show-stopping 1.5L magnum of this beer and just had to pick up a bottle for our guests (and ourselves) to enjoy. It was €28 for a bottle of beer, but worth every cent. Another dark ale, this beer pours virtually black with a light brown head. It smells of pine, liquorice nutmeg and cinnamon. 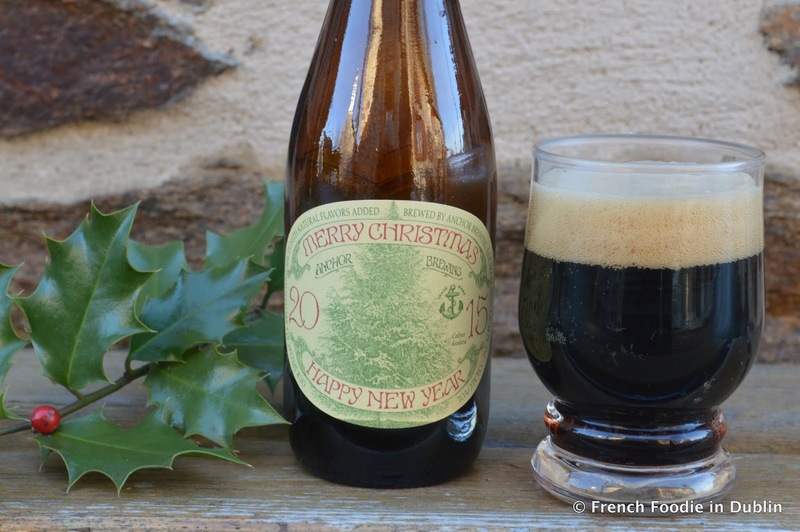 The seasonal spices really shine through in the taste, with a lingering taste of Christmas. 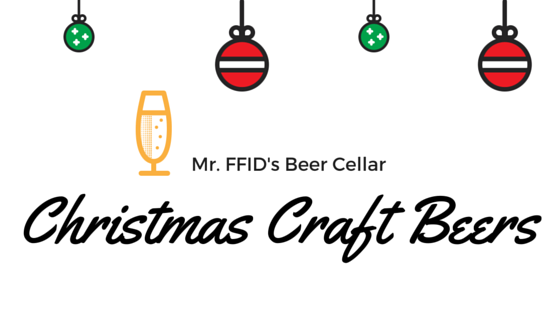 Christmas really is a great time of year for craft beers so make sure you stock up on some crafty ales before it's too late. 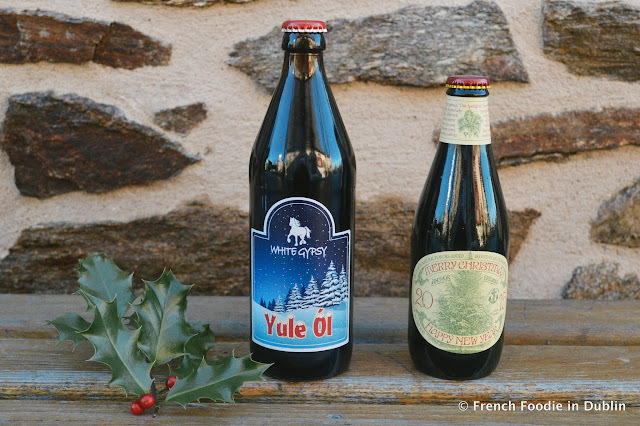 Have a Merry Beery Christmas everyone! Follow Mr. FFID's beer tweets @mrffid.